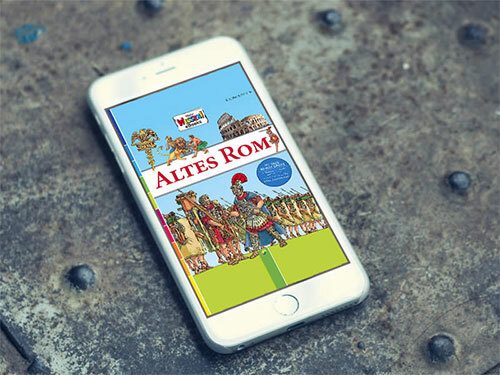 WITS Interactive created an ePub 'Altes Rom' for the publishers Vemag. This ePub is a very exciting and comprehensive form of ePub fashioned in the interest of children. This ePub is created with extensive features consisting of over 80 hotspots, quite a few animations; pop ups and also enlarged images. The hotspots created are with additional information and impressive images. We also embedded videos and hyperlinks; videos to allure the reader by providing a visual picture in their mind. Hyperlinks would help the reader have access to more information. Creating this ePub was not very easy but with our Team’s expertise, we created an ePub which was highly appreciated! An informative, entertaining and appealing ePub with immense interactivity was delivered!